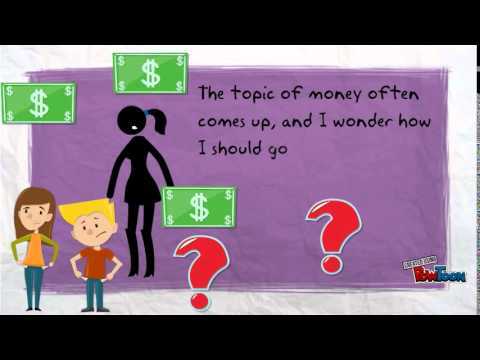 Have a financial question? Ask the experts! 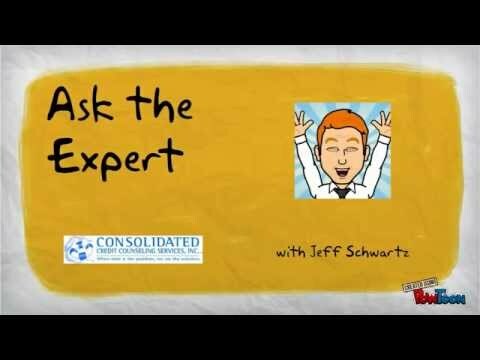 Consolidated Credit’s executive director, Jeff Schwartz, is an expert in the financial industry with over 26 years of experience as a business and community leader. As the head of Consolidated Credit, a non-profit organization that has helped over 500,000 Canadians get out of debt, Jeff is well aware of the roots of financial trouble, and he also knows the best ways to get back on track. In this section, Jeff answers questions from consumers just like you; real people with real financial problems. The answers and advice he provides below can give you valuable insight into your own issues. If you have a question of your own and would like Jeff’s advice on best financial practices, e-mail [email protected]. 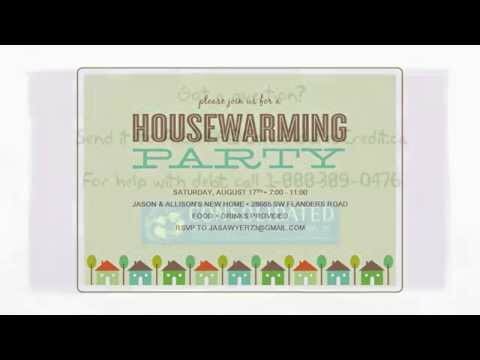 Jeff will address your questions and post the answers right here because if you are asking, chances are someone else is asking too! 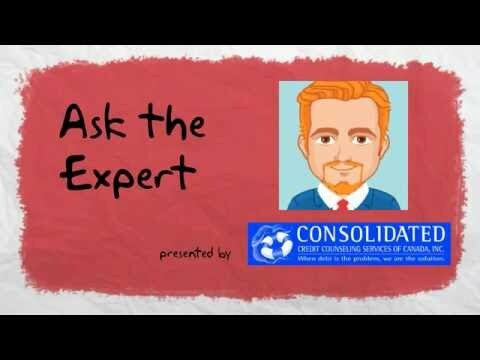 Check out our “Ask the Expert” videos! If you bruised your credit with late payments or accounts that have been sent to collectors, the first thing to do to improve your credit score is to get both copies of both credit reports. In this case, the only credit bureaus in Canada are Equifax and TransUnion. Fill out their request forms which will ask for a mandatory photocopy of government ID. Within 15 to 30 days, you'll receive the report. Often, banks provide a credit score or report for free that will be most likely from one of the two credit bureaus. So make sure to get a copy from both. From there, your credit score improvement journey begins. Ben: Hello everyone, and welcome to another fabulous Consolidated Credit webinar. We have our Executive director here Jeffrey Schwartz, and he’s joined by our industry expert Ryan Watt from Climb Credit. Today we’re going to speak about building or improving credit, and then highlight some strategies and some tools that you can start using today to help do that. We’ll kick things off with Jeff. 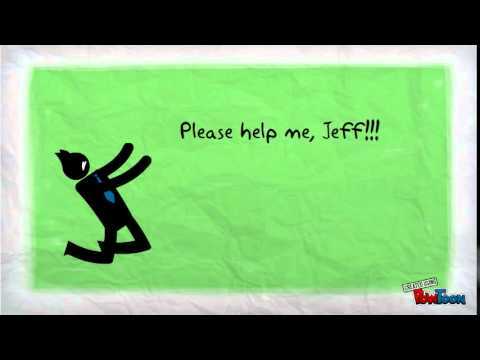 Jeff: Hi everybody. Right out of the gates, whether you’ve bruised your credit with late payments or accounts that have been sent to collectors, or you just want to get the best interest rate on a loan or mortgage, the first step you need to do is get copies of both of your credit reports. Ben: Yes, you need to get both. You see that there are two credit bureaus in Canada: Equifax and TransUnion. It’s a good idea to check both reports and to know both of your scores. But we’ll cover that more in a second. Every Canadian is entitled to one free copy of their credit report per year through the mail. You simply go to the bureau’s website, download the request form (it’s a PDF), then you’ll have to fill it out and include two photocopies of government ID. Then in about 15 to 30 days, you’ll receive a paper copy of your credit report, and that’s when the work can start. Jeff: You also may want to check with your bank. Often, banks will give you your credit score or report for free. Often this will be from one of the bureaus, and not both, so be sure you get copies from both TransUnion and Equifax. You can also get both your scores from the bureau websites. Just beware that they’re likely going to charge you a fee. And there are some other credit monitoring and loan brokerage websites you can find on the web that will also give you free scores and some information on the accounts in your credit report. Ryan: Yes, and whatever way you choose to get your credit reports, it’s important that you look at both scores and both reports. Now, they may not be the exact same, and that’s OK. What you want to look for is large gaps between the scores. Let’s say you have a score of 700 at TransUnion and a score of 600 at Equifax. 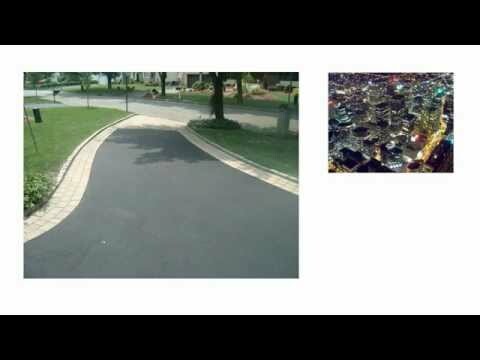 You want to examine both reports and find out why there’s such a difference. It’s especially important when you’re looking for larger loans as most lenders will look at the average of both scores. The closer they are to each other, the better. In the last example, the person with a 700 score and a 600 score would actually average out to 650. This could mean you’re paying a higher interest rate than you deserve. Jeff: In order to have good credit, you need to use credit in a positive way. Being debt free is a great financial goal to have, however, most of us will need to take on some type of debt in our lives, whether it’s to finance education, purchase a car, or work towards homeownership. Having debt isn’t always a bad thing. On the other hand, having no loans at all to repay means you’ll have nothing to report to the credit bureaus and therefore nothing to build or improve your credit score on. Ben: That’s a good point. It’s also important to note that not all debt is bad debt. And in some cases, debt can be a great tool for convenience, and it can also help improve your financial situation. Some examples of this would be taking out a student loan. Typically you’re younger, it means you’re interested in finding a good job. And by paying off that student loan once you’ve graduated, you’ve started building that credit at a young age. Another popular example of using credit for convenience would be using one of those cashback or reward credit cards every month. As long as you pay it off, not only does this help improve your credit, it also helps you get some free perks, like gas, or groceries, air miles, that type of stuff. There are some good reasons to use credit regularly. Jeff: Great points Ben. 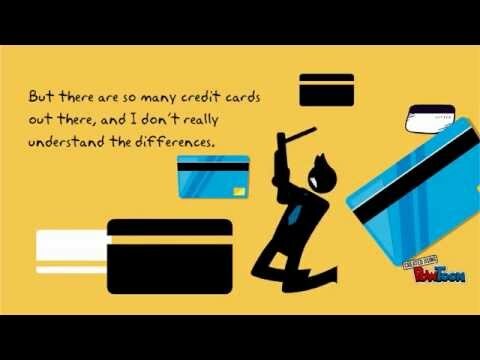 But just because you have to have a credit card to build a credit score doesn’t mean that you need to accept every offer and credit card thrown your way. We’ll talk a little bit more on that later. It’s important to understand how having a mix of credit types can work in your favour as well. Revolving and installment credit are two of the more common types of credit and are called “trade lines” on your credit report. Having a good mix of them can help you build your score faster. Revolving credit examples include credit cards where there can be a revolving balance and limit. Installment, on the other hand, is pretty self-explanatory, meaning you pay in installments. Things like car loans or student loans would be considered installment loans. Ryan: That’s right. A good example of a healthy credit mix would be a person with a car loan, a student loan, perhaps two credit cards. In that case, lenders can see that they can handle two different types of installment credit (the car loan and student loan), and two types of revolving loans (the credit cards). Now, don’t get me wrong. Any of these loans will hurt your credit quickly if you start paying late or if you default on them. For the payment history, 35% of your credit score is made up of your history of paying accounts. That means if you’ve paid off every credit card bill, every loan payment without fail for the last seven or eight years, you’ve probably got really good credit. Excellent even. Also, if you never carry a balance month to month, or on the rare month that you do happen to carry a balance – January is a popular time for that – or if it’s very low, then you probably have great credit too. The way you want to think about utilization rate, is it’s just a way to look at how in debt you are. Staying below 20% to 30% of your limit when carrying a balance month to month is the best way to maintain a strong credit score. Jeff: Great points Ben. Let’s take a look at that example. It’s one we see quite regularly. Let’s say you had a $10,000 limit on your credit card, and due to some unforeseen emergency, you had to put a charge of $5,000 on it. Doing the math, you’re now 50% utilized, which is well over that 20% to 30% we mentioned. If that card gets paid off by the end of the month, then it’s going to be seen as positive information on your credit report. But what happens if you can’t pay that card off by end of the month? In order to lessen any negative impact on your score, you’ll need to make a payment of, let’s say, $2,000 on the card. But even better would be a $3,000 payment. Making a payment of $2,000 to $3,000 would bring the balance down enough to fall within the 20% to 30% utilization rate that we mentioned and not negatively affect your credit if you’re unable to pay the card off in full by the end of the month. Jeff: Yes, definitely. With only paying the minimum, the majority of what you’re paying goes to interest and fees anyway before being applied to the balance. There are some easy ways to prevent missing a payment or paying late. Setting up reminders to pay on your phone, or even better, setting up automatic payments through your bank will help ensure that you don’t miss any payments. Just be aware that there could be penalties for missing a payment if there’s insufficient funds in the account resulting in those NSF fees. Also, overdraft on these accounts can include some pretty hefty interest rates as well. So make note of the amount and what day the payment comes out so you don’t get dinged with any unnecessary fees. And like we said earlier, you really don’t want to over apply yourself. Making the distinction between “soft” inquiries and “hard” inquiries can save you from losing some of those valuable credit score points. Ben: Good. That’s something I hear quite regularly in my workshops. So I think now would be a good time to cover that question, probably for Jeff: “Does checking my credit score affect my credit?” I hear that quite a bit. Jeff: Checking your own credit report once a year through the mail does not impact your credit score, and neither do any of the online soft checks on many of the websites and also on your online banking. But if you’re unsure, make sure you ask the lender before you attempt to pull. The bottom line is, don’t overapply yourself. Next time you go to the grocery store, someone may offer you a free box of cookies, or some steak knives for setting up their new rewards credit card. But just know the cookies or the knives aren’t free. Once you sign that agreement, you’ve given permission to do a hard pull on your credit and your score will dip slightly as a result of that. Ryan: That’s right. Now, there’s an exception to this rule often found with mortgage lenders. When shopping for a large loan or mortgage, you’ll be able to have five credit checks done with different mortgage lenders. And for the purpose of your credit score calculation, the bureaus will only count it as one single mortgage inquiry. Ben: That’s a good point to note. So, shop around, especially for the biggest purchase of your life. 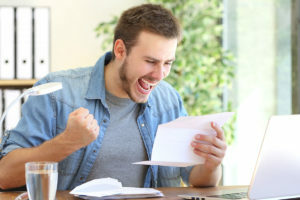 After you’ve received the copies of these credit reports, you’re going to want to start going over it with a fine tooth comb and you want to start looking for mistakes, inaccuracies. What needs to be fixed? Personal information, collection accounts, credit information. 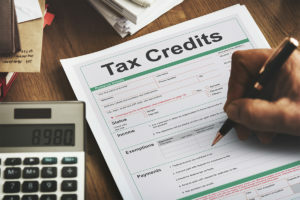 According to a national survey put out by the Public Interest Advocacy Centre, nearly one in five Canadians found a mistake on their credit report. So, take a close look at all these things. And if there are accounts in collections, make sure they’re yours. Take some time to govern all of those inquiries and make sure you recognize all of them. Did you open that credit card? Did you get that free box of cookies? That sort of thing. If you do see any inquiries that you don’t recognize, check it out right away. That’s a really good sign that there’s an identity thief trying to open an account in your name, maybe a cell phone or credit card. Something like that. Jeff: These are all excellent points. What people need to know is that the dispute process is pretty straightforward if you have found an error. You can fill out the dispute form they send you when you receive your free credit reports. You can also call the bureau directly or even do it through their online dispute center. If the bureaus are unable to correct the mistakes found there, your next step is to contact whoever legally owns the debt, whether it’s the original lender or the collection agency the debt has been sold to. If you’re unable to remove or update the information, you always have the option of adding a consumer statement to your credit report. It’s just a few short sentences that lenders can read that are meant to explain the blemish or mistake on your report. Ryan: Right, but the bottom line is to think like a lender. Would you loan money to yourself? If you took a look at the last seven years of your credit history, what would that tell any future lenders? That’s why it’s important to honestly ask yourself, “what does my credit report say about me?” Because that’s exactly what the lenders are asking themselves when they’re looking at your credit or loan application. Ben: Great. Some good points there. Now we’ll move on to, what could the problem be? 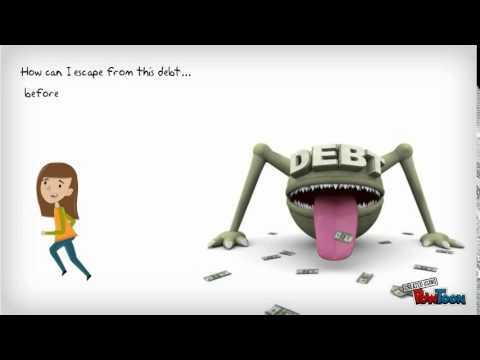 Jeff: Is debt the problem? Just as the slide said. Carrying high debt levels, missing payments, and having debts sent to collections are some of the worst things you can do to your credit. So, what is your particular situation now that you have your credit reports and understand a bit more about them? It’s time to do a bit of a personal inventory. If your balances aren’t going down, even if you’re making the minimum payments, you’re likely headed for trouble. We’ve seen how being overutilized on your loans directly impacts your credit score, so each month that a credit card stays maxed out, your score is going to feel it. 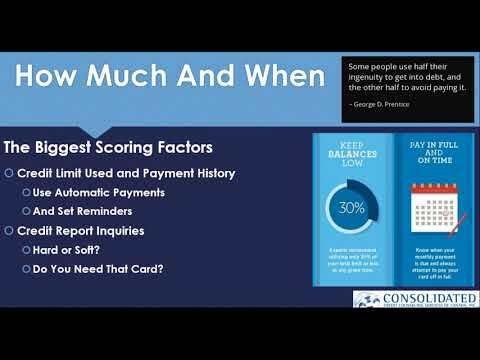 Late payments over 30 days are going to be reported to the credit bureaus, and again, your score is going to feel it. These are all warning signs that you need help with your debt. You’ll have to ask yourself some tough questions though. Why did the debt become a problem? When did these things go off the rails? What if an unplanned expense were to crop up tomorrow? How would I handle it? Would I be able to handle it? Ben: Those are all some good questions. And if the answers to these questions scare you – or some people who stick their heads in the sand, they don’t want to know the answer – that tells me it’s time to speak to a professional. So, speaking to a credit counsellor, or a trusted financial advisor will help you understand where your money is going and how much debt you’re carrying. Based on that budget snapshot and the debt assessment, they’ll have the tools necessary to start putting a plan together for you. Jeff: And there are several options for getting you out of debt. And if debt is the problem, then fixing that problem should be the first step towards improving your credit. The most severe of these options would be bankruptcy. If your situation is dire enough, then you need to speak to a Licensed Insolvency Trustee about the bankruptcy process. Debtors not wanting to file bankruptcy also have the option of speaking to a trustee about a consumer proposal. A proposal is an agreement made by the consumer to repay a portion of their debt within five years. Both of these options have a severe impact on your credit. So, you’re going to want to make sure you fully understand them before you go ahead with either of these insolvency options. Ben: Right. Those are not simple decisions to make because there are a number of reasons why a person can’t or may not want to go bankrupt, depending on their situation. They might lose their home, they could lose savings. If they’ve built assets, they could lose those as well. Others might lose their jobs depending on what industry they work in. So bankruptcy is not an option for everyone. A restructured payment plan – something like a debt management program (DMP) – is another option for people carrying high levels of unsecured debt. Unsecured debt would be anything that’s not backed by some sort of collateral or asset. What the DMP does is it consolidates all of your debts at a reduced interest rate, often at about 0%. Debtors will then make one monthly payment which is applied to all the accounts at that reduced interest rate until the debt is repaid. The debt management program does have a negative impact on your credit, but it is much less severe than the ratings associated with a bankruptcy or consumer proposal. The bottom line is, find some sort of help if you need it. If improving your credit is a concern of yours, then it’s worth it to take a look at some of the tools out there that can help you. Climb offers a credit building program to rebuild your credit while you save money. Ryan can explain a little more about what it is and how it’s been successful for some of their clients. Ryan: That’s great. 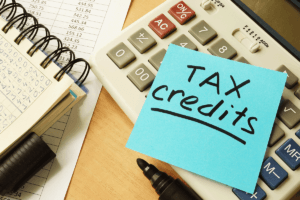 The credit building program is fantastic for people who currently have low credit scores and are looking to build positive trade lines and have that positive credit history. It could be that you don’t have that history from the past, so you’re looking to build up your file. 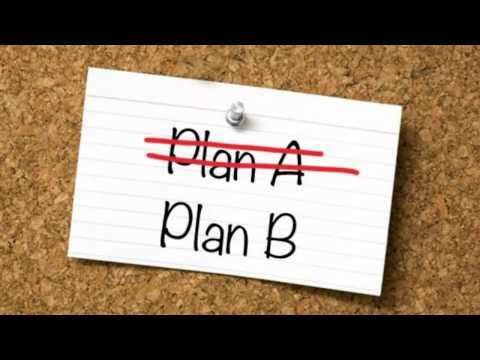 It could be – as you mentioned in the last slide – that you’re considering a consumer proposal or debt management plan and you’re looking to rebuild your credit from there. The credit builder program allows you to save money while you’re rebuilding your credit score. With an improved credit score, you’ll be one step closer to achieving the financial future that you’re looking for, being approved for loans, better interest rates. Not to mention at the end, you’ll have money that will be returned to you that can go towards whatever you were saving for, be it a car, a vacation, even your child’s education. The way the program works is that you would be paying a loan on a monthly basis. We would be holding the payments in a savings account for you and we’d be recording all your payments to the credit bureau, building up your positive credit history. At the end of the program, we return your savings to you so that you have that money to be able to spend on whatever you’d like. Ben: Great. Sounds like an interesting program and certainly worth taking a look at if improving your credit is a concern of yours. Now I think we have some time for some questions. It looks like the first one is, “How long will it take before I see an improvement of my credit score?” Well, that depends a lot on your personal situation and what your credit looked like before you started taking action to repair it. But people who manage to reduce their debt loads, or stop paying late, or maybe take care of a debt that’s in collections can start seeing a big improvement in about 6 to 8 months. Next question that we have there, it looks like it could be directed towards Jeff: “How can I build credit as a young person with no credit history?” Good question. Jeff: Firstly, and I experienced this with one of my children, I would start with a credit card. As long as you can trust yourself with paying it off in full every month, and if you’re over 18, you can talk to your bank about applying for a low-limit, preferably low-interest credit card. It’s a little easier to get approved for a student card if you’re attending a full-time post-secondary program. So that’s something you might want to think about. Now, if you can’t get approved for either one of those, then look at applying for what’s called a “secured” credit card. With a secured credit card, you’re required to pay a deposit up front. And that deposit is going to act as your credit limit. So you put down, say, a $500 deposit, and then they give you a credit card with a $500 limit. Once you get that credit card, leave it at home. Figure out what you can comfortably afford each month. It could be your Netflix subscription or your Hydro bill. Whatever it is, make sure you pay it off each month. Borrow, pay, and repeat. That’s the best way to build your credit history. Remember that in order to get the most impact of using a card, pay it off prior to the end of the period of that statement, and not just before the due date. Ben: Good point as well. Ryan, are there any questions you seem to get about your program that you want to cover now? Anything else you wanted to mention? Ryan: Yes, it comes down to exactly what Jeff said in his previous comments, is that a secured credit card or credit card of some type is a great way to build your credit. But as we said earlier in the webinar, having installment loans and revolving loans is a one-two punch in order to improve your credit even quicker. So, that’s where a lot of our customers will look at getting into our credit builder program, also getting that secured card to be able to improve their credit scores even faster. Ben: Great. Thanks for taking that. It looks like that’s all the questions we’ve got so far. If you’d like to contact us or Ryan at Climb to learn more about their program, please let me know. You can reach us by phone or email. Feel free to check out the website. There’s a ton of information and educational resources there. That concludes the webinar for today. Thank you all, and have a great day! 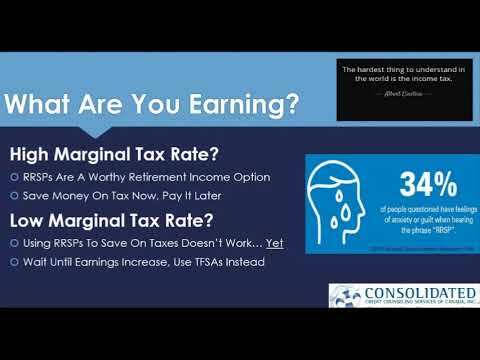 A Consolidated Credit Webinar, looking at what all the fuss that RRSP season is about. Executive director Jeffrey Schwartz joins a Q&A and takes a step back and examine what exactly happened during RRSP season and why it might matter to you. Ben: Hello, and welcome to another Consolidated Credit Webinar. This time we’ll be looking at what all the fuss that RRSP season is about. Today our executive director Jeffrey Schwartz has been kind enough to join us so we can take a step back and examine what exactly happened during RRSP season and why it might matter to you. Jeff: Thanks Ben. As we’ve said, RRSP season has come and gone this year, and now your focus has probably shifted to the upcoming tax season. And given the tax implications of RRSPs, it might make sense that these two deadlines are only 60 days apart. So, that answer our first question: “When is RRSP season?” For most people, it’s the first two months of a new calendar year. You’ve got until March 1st to contribute to your RRSPs up to the maximum amount, which is typically 18% of last year’s total income. That means if you’re set to earn about $100,000 in 2019, you’ll have until March 1st, 2020 to contribute up to $18,000. The reality is that RRSP season is all year long, but we can get into that a little bit later. There are some exceptions to this rule: for instance, if you have an employer RRSP Matching Program, a pension, or you’re self-employed. So be sure you understand what your situation is so you don’t get hit with penalties for over-contributing. Jeff: And you’re right Ben. Different people will always have different financial situations or goals and they can be intensely comlex, or simple and straightforward. There are so many factors involved, like, how old are you? When do you want to retire? 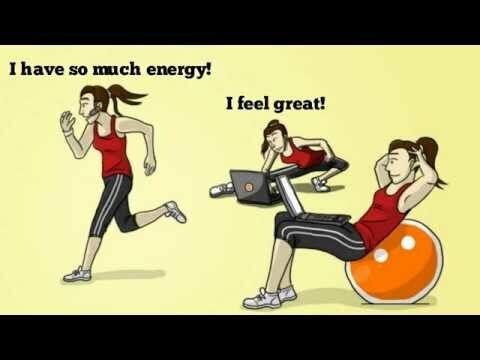 What kind of assets have you built? How much debt do you have right now? 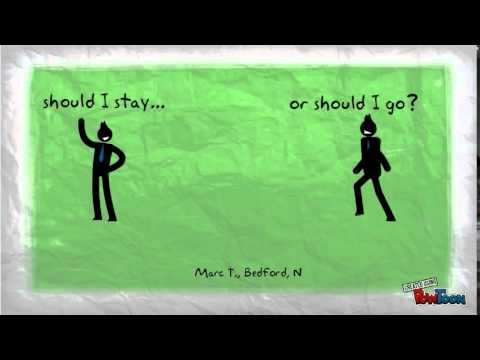 What do you want to leave to your family when you’re gone? Really, in order to answer your question about whether or not you should care about RRSPs is to first ask yourself, “Do I have to have an RRSP?” If you do, what do you want to do with it? And if you don’t have an RRSP, then what’s your long-term goal? As you’re probably aware, CPP, OAS, and GIS (if you qualify) will not be enough to live on comfortably or close to how you’re living now when you’re retired. You’ll need some other sources of retirement income to meet all of your wants and needs so you can actually take time to enjoy your retirement. Ben: Great. And that brings me to another popular question: “How do RRSPs work? What can they do for me?” Those are two very important questions and they depend a lot on your financial situation and your tax situation. But when used wisely, RRSPs can lower your annual tax bill. 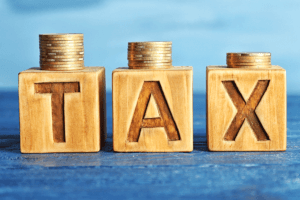 For people who regularly contribute to their RRSPs – and maybe they find themselves in a higher marginal tax rate – the benefits can be high there. They’ll be getting a refund on the taxes they’ve already paid, and they’re building a retirement income stream here. So, Jeff, another popular line of questioning I get from workshop participants is, “What are the benefits of an RRSP if I don’t have to pay taxes each year? Jeff: That’s a great question, and while there’s no taxable benefit for you when you’re contributing to an RRSP, you’re still saving for a secure retirement, and that’s never a bad idea. That means years and years of compounding interest and sheltered growth in a relatively secure investment vehicle which will literally pay off big when it’s time to think about retiring and withdrawing that money. Ben: Great. So I guess that leads into the next question: “What do you want to do with your RRSP if you do have one?” Hopefully, you’re a little bit better informed about what RRSPs can do now, and maybe start opening one, or contributing to one, or come up with some sort of retirement plan of your own. Those are some great financial goals to have, but before we jump on the RRSP bandwagon, let’s take a second to find out what you want to do with your RRSP. Is there somewhere else you could put that money that will better serve your needs? These are serious questions that you need to spend a little bit of time answering as best you can. Jeff: Yes. Definitely spend a little bit of time exploring answers to those questions. You may want to speak with a financial counsellor or a trusted advisor to clarify your situation first. If you’re looking for a place to save money first for paying off a debt or a home reno, don’t do it with an RRSP. Find some other place to save that money, like a TFSA. Ben: OK, once and for all, here are the three biggest benefits to an RRSP. The first is tax savings and retirement income. That was the reason these registered retirement programs started way back in the 50s. And I’m willing to bet that was probably before your time, Jeff. So, they’re meant to save taxes so you can pay them at a lower tax rate later. Now, at the same time, you’re adding an additional source of income to any pensions or any investments that you’ve had or what you’re planning on drawing down on in retirement. So, another thing that you might want to consider is the Homebuyers Plan (HBP). If you’re planning to buy a home and you have money in an RRSP, you can make tax-free withdrawals up to $25,000. But of course, it’s not that simple. There are some qualifying requirements to meet, so speak with an advisor or someone at your financial institution about all the pros and cons of using the Homebuyer’s Plan before you commit to it. Because you’re going to have to pay that money back into the RRSP eventually. So Jeff, perhaps you can spend a little bit of time shedding more light on that Homebuyer’s Plan option. Jeff: Certainly. It’s one that I know about personally. It’s probably easier to think of the Homebuyer’s Plan as a loan. In fact, that’s how I was able to get my first home as well. 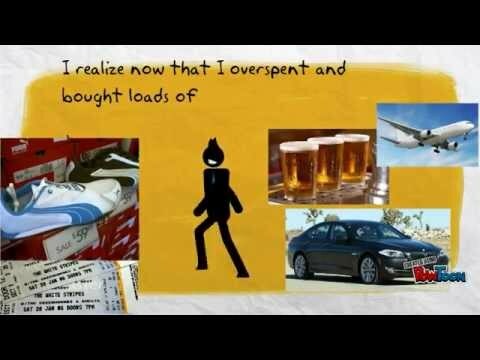 I dipped into my RRSP and paid it back interest-free over time. So, how you want to think about it is, it’s a tax-free loan from your RRSP to yourself. You’ll have up to 15 years to pay back that loan. Think about the long-term consequences before jumping in on this plan. Yes, you’ll be buying a house or condo, which is a fantastic financial goal and a great asset to start building equity with. But what are some of the other potential costs of this program? For one, it may have taken you years or decades to build that RRSP up to that amount. So, it could be seen as robbing from your future to pay for the present. But that doesn’t mean it’s a bad thing, either. It’s really one of those pros and cons options that you’ll need to evaluate and do your homework on before you decide whether it’s the right choice for you. Building equity in an asset that will usually gain value over time is a great use of your money, but so is saving for a secure retirement. As with any choice, there’s going to be consequences. You have to make sure you know all the ins and outs of the Homebuyer’s Plan before you start house hunting. Ben: Great. 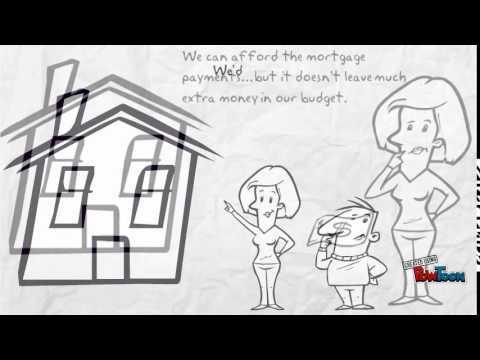 Those are some great points on the Homebuyer’s Plan. These are big decisions, so don’t rush them. If you don’t understand something, find help. Another reason you might want to tap into your RRSP funds is for continuing education, or perhaps starting a second career a little bit later on in your life. And that program is called the Lifelong Learning Plan. And for someone considering a career change, it can be a great way to finance your education or some training. The Lifelong Learning Plan does have some wordy eligibility criteria to meet, but essentially it allows you to withdraw up to $10,000 a year to finance full-time training or post-secondary education. The total amount that can be withdrawn is $20,000 over four years. Another great benefit of the Lifelong Learning Plan is that any withdrawals are made tax-free. But similar to the Homebuyer’s Plan, this is a loan. You’re going to have to pay that money back. At least 10% of the money borrowed must be repaid each year for a maximum of 10 years. That’s why it makes sense to take a little bit of time looking at what you are earning. Jeff: I think we’ve established that saving for retirement, however you plan to do it, is never a bad idea. From those stats, it’s clear that this is a source of financial stress for far too many Canadians. It’s your money. These are your retirement goals. So make sure your RRSP aligns with those goals. If your goals don’t align with the benefits of an RRSP, it doesn’t mean you should stop planning your retirement altogether. It just means that contributing to an RRSP makes more sense for others than it might for you. And that’s why we should take a minute to go over TFSAs and how they might be a better choice for some over an RRSP because there’s often a lot of confusion about the two. Ben: I agree. Contributing to an RRSP is never a bad idea. I also hope that we’ve stressed the importance of some type of a long-term savings plan, even if it’s not an RRSP. If an RRSP is not going to help you achieve your retirement goals right now, then you might want to look into the benefits that come with a TFSA. It’s an easy-to-use, low-risk investment vehicle, and the interest earned within the TFSA is 100% tax-free. If you’re young or are earning a lower income, then contribute to a TFSA. And if you start earning more money and are moving up in the tax brackets, then you can always move money back over to an RRSP. So, what’s your savings plan? Jeff: If you’re one of the many Canadians out there who is confused about what’s better – a TFSA, or RRSP – just ask yourself: “Can an RRSP help me achieve my retirement goal?” If it doesn’t make sense right now, then contribute as much as you can to a TFSA. All these acronyms are tough to keep up with. It’s a place to deposit and withdraw money. Low-risk investments that can be made within a TFSA will grow tax-free. And if your income situation changes later on, you can always move that money from your TFSA to your RRSP. Ben: Another common question I get is, “Do I need to contribute to my RRSPs?” or “Do I need to contribute to my RRSP by the deadline?” I’d say yes, or maybe no. You’ll have to decide that on your own. Hopefully, some of what we’ve talked about today made things a little easier. The bottom line is, ask yourself now, what’s your long-term financial plan? What goals have you set for yourself, and how do you plan on getting there? If you’re still unsure about what to do with your RRSP, maybe you’re unsure if you should even start one, then maybe talk with friends or family. Now, that doesn’t mean take the advice of your crazy Uncle Gary who keeps his retirement funds stuffed under his mattress so the government can’t get it. That’s not going to earn him or you any interest or tax-deferral benefits. So we see right there that 61% of people in that 2017 Financial Planning Standards Council poll all started to seriously think about their retirement savings plans when triggered by a discussion with family or friends. Maybe at your next family event or dinner, you might want to ask some of your older family members what their plans were. Jeff: Right Ben. Talking about money usually isn’t the most comfortable topic to bring up at the dinner table. But with retirement planning, it’s a bit different. People love to talk about their dream retirement with one another. That being said, however, I’ve spoken with a number of Canadians who have unfortunately had their retirement dreams put on hold after speaking with a pushy salesperson. Typically, they wind up leaving the salesman’s office more confused than when they went in with a pile of confusing graphs and glossy reports. So find a trusted advisor to speak with. A good place to start might be at your workplace. Many great organizations out there offer an employee RRSP matching program. And for 83% of the participants in that poll, that’s what it’s going t take to encourage active retirement planning. If your company offers an RRSP matching program, jump on it right away. It’s essentially free money offered by your company to ensure you have a better chance of planning a secure retirement. Ben: Great, so while we’re on the topic of that, maybe Jeff if you could just explain to us if you need help, where can you go, or who should you look for. Jeff: If you’re looking for a trusted financial advisor, a CFP (Certified Financial Planner) or a financial counsellor can help you lay the groundwork for a secure retirement. If you have some more lofty retirement goals, then you may want to look for a financial advisor who specializes in retirement planning. They’ll have a much better understanding of what will be needed to get you on your way to your retirement dreams. CRSs (Certified Retirement Counsellors) or RRCs (Registered Retirement Consultants) are great places to start. You can find out a ton of great information about financial planners by visiting the FPSC website. So, that wraps up our webinar here, and we’ll just take a second or two to answer a few common questions we get. Ben: Sure. The first one we get quite a bit is, “How much should I contribute to my RRSP? Is there a dollar amount I should focus on, or a percentage?” That sort of thing. Jeff, maybe you want to take a stab at that one. Jeff: Firstly, the fact that you’re considering putting money aside for an RRSP each month is a great idea because that really eliminates the need to come up with a lump sum of cash right before March 1st. If you’re doing it all year long, you get the growth throughout the year in addition to the fact that you’re saving yourself from having to contribute a lump sum all at once and coming up with that cash. So, let’s address what you really asked, and it’s a complex question. You’ll need to take a serious look at your monthly budget to see what you can safely stash away for retirement while meeting all of your monthly financial obligations but still leave room to save for your other financial goals. Now, according to Money Sense, each year two-thirds of Canadians don’t contribute anything at all. So any contribution you make is an accomplishment. If you’re able to stash away the maximum 18% of your income per year in RRSP, you’re doing great. But your situation might be different. Start with your monthly budget, and if you don’t have a monthly budget, it’s time to start one. After your monthly expenses are paid, if you’re able to it away 5% to 15% of your monthly income into savings, figure out how much of that amount you’ll need for your other savings goals, like your emergency savings funds, or if you’re planning a vacation, or purchasing new appliances, and so on . The rest of that savings should be earmarked for retirement. And the earlier you start, the better, so stop waiting. Ben: I like that. Start with a budget, and then go from there. So, another one I hear often is, “How long can I have an RRSP and what can I do with it once I retire?” Well, you’ll have to transfer that money out of your RRSP by the end of the year that you’ll be turning 71. But you’ve got a few options on how to do that, where you want to do that, and that sort of thing. Certainly seek the advice of a trusted financial professional, hopefully one that has experience, because those options include taking out the money in cash, which has its tax implications. You can also purchase some annuities for some regular type of retirement income. And the other option which is pretty popular is transferring your money to a Registered Retirement Income Fund, or a “RRIF”. A RRIF allows you to keep that money invested with the opportunity for it to grow tax-deferred. But every year you need to withdraw a minimum amount from your RRIF, and any amounts taken above will be taxed. So, there are a few different options, so you really want to speak to your financial advisor or professional about what you want to do. If you wanted to connect with us, please do. We hope you have a little bit of a clearer understanding of what RRSPs can do for you and why there always seems to be a mad rush to contribute before the RRSP deadline. So hopefully next year you’ll be ready and actively working towards that goal, that dream retirement. Please feel free to contact us here are Consolidated Credit Counselling Services of Canada with any of your burning financial questions. We hope you enjoyed the webinar and we’ll see you next time. Are you in debt from your holiday spending? Have you spent beyond your holiday budget despite your best efforts to stay in line? 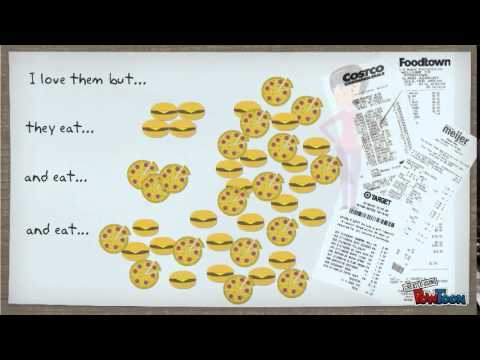 Ben and Jeff discuss some of the best ways to handle your debt after the holidays. 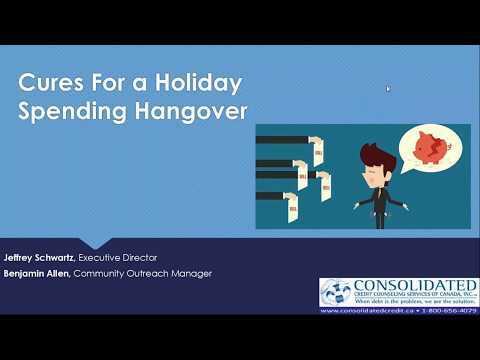 Cure your holiday hangover by using the sage advice given by our resident experts at Consolidated Credit Canada. Serious about paying down holiday debt? Use any of our debt management tools to get ahead! Ask the Expert: How Can I Save Money? Household debt is up; household savings rates are low. Historically low, to be exact. When your budget is being pulled in many different directions, it can be hard to add to your savings account. Here are some ways to get it done. 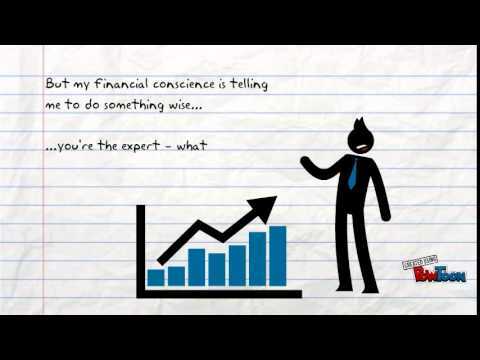 Have a financial question? Head to http://www.consolidatedcredit.ca/debt-solutions/ask-the-expert and ask! There's no question about it - Canadians love their credit cards. But credit card debt can get out of control and block us from financial freedom. 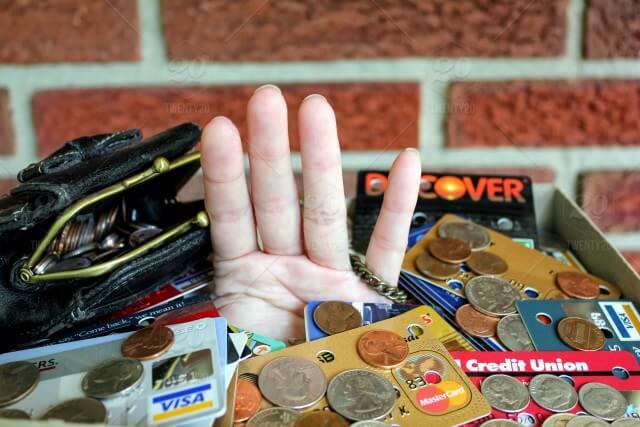 Here are a few ways to kick your credit habit! Go to http://www.consolidatedcredit.ca/debt-solutions/ask-the-expert/ and ask your own question! 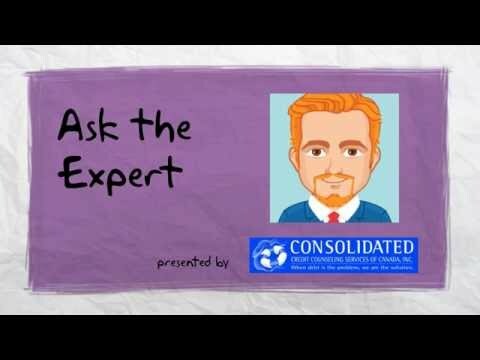 Ask the Expert - Raising Kids is Expensive! Ask any parent and they'll say the same thing: kids are expensive! Between food, clothes, school, and so much more, children are a huge strain on household budgets. We have some advice on how you can save. Our experts at Consolidated Credit are happy to help Canadians take control of their finances and live debt-free. Visit http://www.consolidatedcredit.ca to learn more or e-mail [email protected] with your money questions. Ask the Expert - How Can I Get Money out of My Home? Your house is probably the greatest asset you own, but many people think they need to sell their home in order to get money from it. That's not true -- here's how to make your home work for you! Our experts at Consolidated Credit are happy to help Canadians take control of their finances and live debt-free. Visit http://www.consolidatedcredit.ca to learn more or e-mail [email protected] with your money questions. 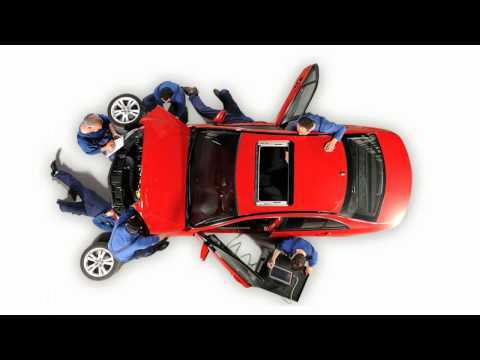 Ask the Expert - How Can I Cut Down on Car Costs? For many Canadians, cars are a part of daily life. But they have a number of built-in expenses that can really drain your budget. Here are a few ways to save money. Our experts at Consolidated Credit are happy to help Canadians take control of their finances and live debt-free. Visit http://www.consolidatedcredit.ca to learn more or e-mail [email protected] with your money questions. Ask the Expert: How Can I Save Money on My Wedding? Recently engaged? Planning a wedding? Here are some tips to cut costs and avoid wedding debt. Our experts at Consolidated Credit are happy to help Canadians take control of their finances and live debt-free. Visit http://www.consolidatedcredit.ca to learn more or e-mail [email protected] with your money questions. Ask the Expert: Should I Downsize My Home? Your kids have moved out, and you're ready for retirement. Should you downsize your home? Our experts at Consolidated Credit are happy to help Canadians take control of their finances and live debt-free. Visit http://www.consolidatedcredit.ca to learn more or e-mail [email protected] with your money questions. It's what you might call a "good problem" -- when you finish paying off a loan, and you are left with extra money that would normally be used to pay down your debt. But don't spend it all in one place. Making the most of your new-found cash flow will ensure financial security for years to come! 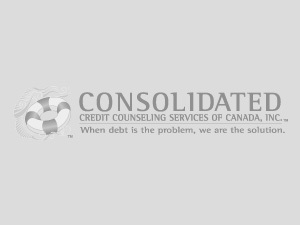 Consolidated Credit Counseling Services of Canada has helped over 500,000 Canadians with debt. 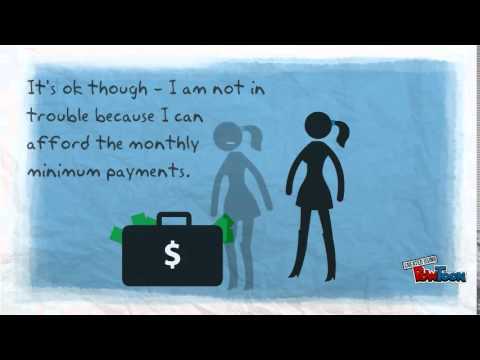 Go to http://www.ConsolidatedCredit.ca to learn more. Ask the Expert: How can I find the proper work-life balance? Our resident finance expert, Executive Director Jeffrey Schwartz, answers your questions about credit counselling and personal finance in general. 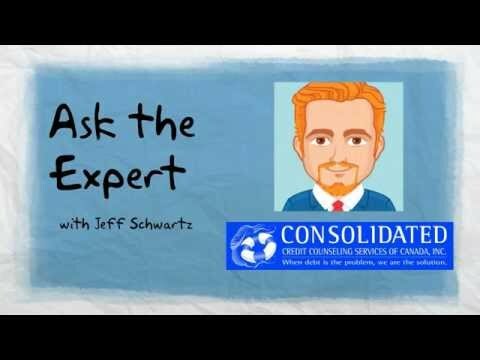 As the founder of Consolidated Credit (http://www.consolidatedcredit.ca) and President of the Credit Association of Greater Toronto (CAGT), Jeff provides valuable insight to address your financial concerns. Ask the Expert: How Do I Prepare for Retirement? Ask the Expert: Should I Quit My Job? Jeff Schwartz, executive director of Consolidated Credit Counseling Services of Canada, offers his expert advice on how you can furnish your new apartment without spending too much money. 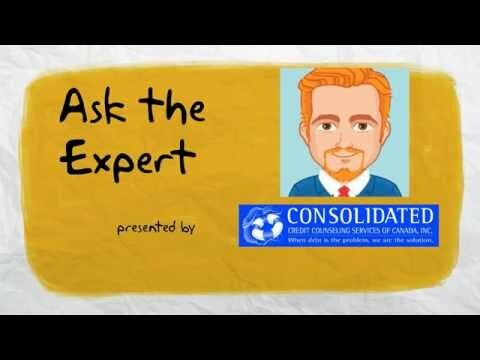 Ask your own questions by going to http://www.consolidatedcredit.ca/debt-solutions/ask-the-expert/ ! Get expert advice and easy-to-understand answers to your tough financial questions. We’re here to help! 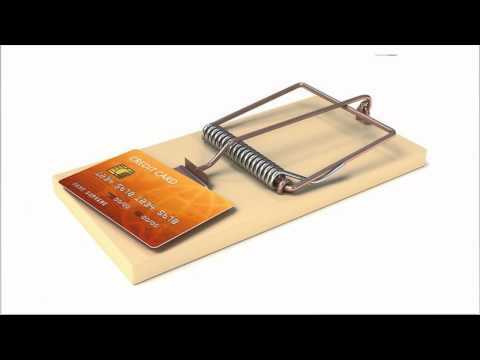 Can credit card debt be forgiven? Are debt consolidation loans easy to get? Ask the Expert! 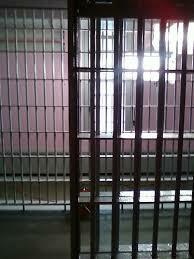 Can I go to Jail for Unpaid Debt? Who Do I Owe on a DMP? What Happens Once I Pay Off an Account? What are the Fees for a Debt Management Program? Can I Enroll in a DMP If I’m Being Sued? Can I Consolidate Debt Consolidation Loans? Is Taking Out a Home Equity Loan a Good idea? Can I Buy a Home with Bad Credit? Ask the Expert: Can credit card debt put a lien on your home? 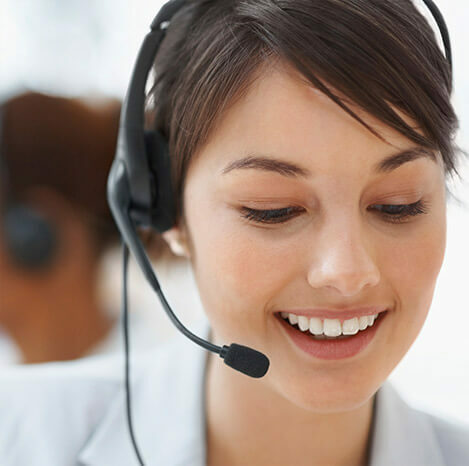 Can Creditors Call You at Work in Canada? Simply call us to speak with a credit counselor, or complete the form below.